Brenda Milner, C.C., G.O.Q., D.Sc., Ph.D.
Brenda Milner (née Langford) was born in Manchester, England on July 15, 1918 to two musically gifted parents. She did not desire a musical career and instead began to study mathematics at Newnham College, Cambridge in 1936. Partway through her studies, she changed programs, entering the field of experimental psychology and earning her BA in 1939. It was during this time, under the supervision of Oliver Zangwill, that Milner developed an interest in studying the effect that brain lesions have on behavior. She then began post-graduate work at Cambridge, where – with the outbreak of the Second World War – the work of the lab was directed at selecting air crew. During the war, Milner left Cambridge – she would receive her MA from the school in 1949 – and worked for the Ministry of Supply near Bournemouth, evaluating radar displays and controls. It was here that she met Peter Milner. In 1944, Peter was invited to Canada to work on a project. The two married and left England two weeks later, headed for Montreal. In Montreal, Milner began work as an instructor at the Institut de Psychologie at the Université de Montreal. A couple of years after arriving in Canada, she began to participate in the seminars of Robert MacLeod at McGill University. When Donald Hebb returned to McGill in 1947, Milner was attended his seminar that discussed his manuscript of The Organization of Behavior. These discussions pushed her to apply to do a PhD at McGill under the supervision of Hebb. Hebb arranged for Milner to do her thesis research with Wilder Penfield’s patients at the Montreal Neurological Institute. Milner received her PhD in physiological psychology in 1952. While working with some of Penfield’s surgery patients, Milner discovered that those with temporal lobe lesions often complained of poor verbal memory post-operation. Penfield and Milner presented their findings on two patients who had had left temporal lobectomies – which had included parts of the hippocampus – and were suffering from anterograde amnesia following the surgeries. Anterograde amnesia refers to the loss of the ability to form new memories following the event while still being able to recall prior memories, whereas retrograde amnesia is the inability to recall memories that were made prior to the event causing the amnesia. After presenting their findings, the two were contacted by William Scoville, a neurosurgeon from Hartford, about the case of patient H.M. – identified as Henry Molaison following his death in 2008. Scoville had conducted a bilateral medial temporal lobe resection – cutting away portions of the temporal lobe, including parts of the amygdala and hippocampus, in both hemispheres – in an attempt to alleviate the severe seizures that H.M. had been suffering from. Following the procedure, H.M. was no longer able to create new memories, but he could remember things from his past, such as his childhood and historical events. Milner was invited to work with and study H.M. and his intellectual and memory abilities post-operation. The two met for the first time in 1955, and Milner would make the trip to Hartford from Montreal numerous times over the next 30 years. She discovered that although his memory had been severely impaired, his actual intelligence had not been affected. If anything, his IQ had actually shown improvement, likely because he was no longer suffering from frequent seizures. H.M.’s severe impairment in remembering anything new raised questions about the importance of the medial temporal lobe for memory formation. Although H.M. could not remember instructions after one exposure, Milner decided to test whether he could master a task through extensive repetition. She gave him a mirror-drawing task, where he had to trace a star while only looking in the mirror at the image he was tracing. Surprisingly, H.M. improved after many trials spaced over three days, despite the fact that he had no memory of attempting the task previously. This was ground-breaking as it indicated that there was more than one type of memory and learning system. Milner speculated that other motor skills were also acquired outside of the medial temporal lobe. This type of learning is now known as procedural and include skills such as swimming, riding a bike, or speaking a language where you are just able to do it but find it very difficult to explain how you are doing it or learnt it. Milner’s work facilitated a huge growth in interest in human memory over past 40 years. Milner also did research in the role of the frontal lobe in intelligence and memory processing. She found that patients with frontal lobe damage were impaired in their ability to change their way of solving a task even when it has shown to be incorrect, despite the fact that these patients showed normal scores on the typical intelligence tests. She contributed to the early understanding of the lateralization of function – especially speech – and how the two hemispheres of the brain interact with each other. Milner has continued to work on cognitive and memory function in the temporal and frontal lobes of the human brain. She has been investigating bilingualism and the different pathways that are used to acquire native and new languages. She has also used neuroimaging to identify the brain regions and mechanisms involved in language processing in both healthy control subjects and subjects with brain lesions. Milner is currently the Dorothy J. Killam Professor at the MNI. 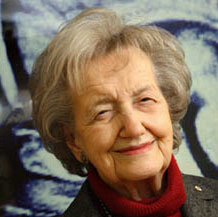 She continues to conduct research and teach as a professor in the Neurology and Neurosurgery department at McGill.